Considering that Hollywood is usually keen to follow-up a box-office success it seems unusual that there was never a sequel to John Sturges's enormously popular 1963 film 'The Great Escape'. Some people would no doubt point out that since the film was based on real people and real events, it would have been difficult to include the surviving characters in another equally exciting story, unlike, for example, the totally fictitious 'Guns of Navarone' and its sequel. However, because the characters were fictionalized, it could theoretically have been possible to make a second 'Escape' movie, featuring at least some of the same character names, if not necessarily the same actors. 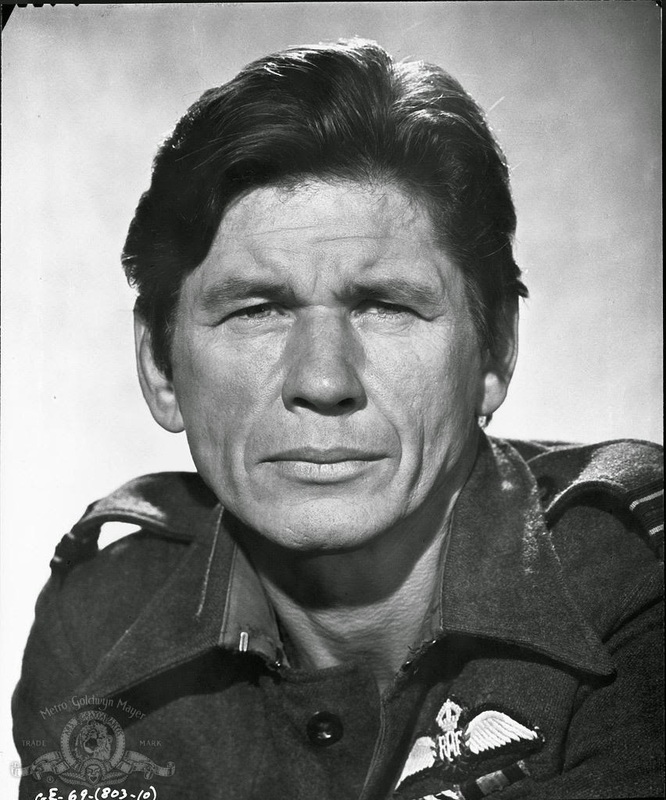 Since Charles Bronson was not only on his way to superstardom by the late sixties and early seventies but had played the role of one of the survivors in 'The Great Escape', he might well have been the first choice in a sequel. Also, since he had seemingly carved out a niche for himself as a tough Pole or Polish American – the character he played in 'The Dirty Dozen' had again been fairly indestructible – then this sequel may well have had more of a Polish angle. There was in fact a follow-up called 'The Great Escape II: the Untold Story.' This was a made-for-TV movie of the eighties starring Christopher Reeve but it was more of a re-make than a sequel, since essentially it retold the same story as the original film but with different characters, athough it did take events a bit further. (By way of a footnote, it also had a scene with an uncannily authentic-looking Hitler – played by the actor Ludwig Haas and not WWII footage.) As for a Hollywood cinema sequel, perhaps the closest in spirit to the original was the 1981 'Escape to Victory', featuring another all-star cast. This may have been an exciting and stirring film in its own way, but it was not quite in the same league as the sixties classic. Whereas critics maintain that the film which made a star of the motorcycling Steve McQueen took liberties with historical truth, even though it was based on real events – no Americans apparently escaped from the camp, for example, although they were involved in the tunnelling – 'Escape to Victory', on the other hand, played fast and loose with history for the sake of entertaining a largely soccer-loving audience. As for sequels in general, despite all the obvious duds and the lame attempts to cash in on the success of box-office hits, many critics and film fans never tire of pointing out that sequels are by no means always inferior to their originals. Many people have argued, to take just one example, that part two of 'The Godfather' is vastly superior to part one. There are so many other examples to choose from in this category, which, of course, often includes more than one sequel, and whose relative merits can be debated, such as: 'French Connection II', 'Terminator 2', 'Die Hard 2', 'Back to the Future II and III', 'The Blues Brothers 2000', the 'Rambo' and 'Rocky' sequels, and many others which followed on the success of their originals. There were no fewer than three sequels to Sturges's 1960 western 'The Magnificent Seven', three of whose leading actors were to feature in his later war film, but only one of these featured its leading actor, Yul Brynner, again. (I don't imagine anyone would count as a sequel the highly inventive 'Westworld' of 1973, in which the black-garbed Brynner again appears as a gunfighter, but in decidedly different guise.) I don't include here films such as the 'Bourne' or 'Matrix' films, or indeed 'Lord of the Rings' all of which were, I believe, originally conceived as trilogies. I think this last category would also include 'Star Wars' with its growing number of sequels and prequels. Night time – the camera zooms in on planes rumbling north-eastwards (towards the upper right on the screen) against a black sky. Zooms in again on the pilot and co-pilot. Their goggles are pushed back over their flying helmets and Charles Bronson and John Leyton are instantly identified by 'Great Escape' aficionados as Danny and Willie, the 'Tunnel Kings' from the original film. The characters had made their way to neutral Sweden and then back to Britain to rejoin the RAF and to continue fighting against Hitler. It is now August 1944 and the Warsaw Uprising has begun. Danny, the Polish flyer who had joined the RAF at the beginning of the war, is on a mission to drop supplies and equipment to the insurgents. The Soviets, although on the Allied side, are being obstructive and are refusing British and American planes permission to land on Russian-held territory to refuel, so the mission has taken off from Italy and must be accomplished in one trip. Willie, Danny's British friend and co-pilot, is baffled by the politics. Danny tries his best to explain the situation. He is personally not anti-Russian – in fact there is a suggestion, in the original film, of some kind of past relationship with a Russian woman, in the scene where Danny teaches Sedgwick the Australian a Russian phrase – but he cannot understand why Stalin should be doing everything possible to hinder efforts to get Western aid to the Polish resistance fighters. The planes come under German anti-aircraft fire as they approach Warsaw; the pilots see the fires and destruction below as the city is pounded by German artillery, they drop their cargo at the designated point, hoping the supplies get to the resistance, then start heading back towards the base in Italy. They see one of the other planes in the squadron going down in flames. They are apparently out of danger, when they, too, are hit. To cut a long hypothetical script short, either their fuel lines are cut or their navigational instruments are damaged (or both) and they end up having to make a hair-raising emergency landing somewhere in southern occupied Poland, near Krakow in fact. (At this point there would be an excuse to show the beautiful city, which was, of course, mostly undamaged by wartime destruction.) They are rescued by local partisans and consider their next move. Should they head south over the border and try to reach neutral Switzerland? Danny, a Varsovian, wants to fight for his native city. Also some of his family are still there. (He could even be married?) Willie will follow his friend. They make their way up to the capital, and once there, find and join the Polish Home Army (Armia Krajowa or AK), team up with a couple of Jewish resistance fighters, who have joined the AK after the collapse of the Warsaw Ghetto Uprising, and a young woman who has been a courier for the AK but who is now herself in the thick of the fighting. There follows some harrowing footage of the fighting, to rival the scenes in 'Saving Private Ryan'. The partisans are facing overwhelming German firepower. One of the Jewish fighters is killed in the combat. When the Uprising inevitably collapses in early October, the city is razed. Here authentic aerial footage could be used. The scale of the destruction is horrifying. The main characters are all taken prisoner by the Germans. Danny's wife and the young partisan woman are shipped off to a separate camp and the men find themselves in a POW camp in Germany itself. Danny determines to find his wife. Willie has fallen for the partisan girl and also wants to search for her. If James Garner and James Coburn had been available for cameo roles at this point, then perhaps here Danny and Willie would meet up again with Hendley (the 'Scrounger') and Sedgwick the Aussie. Hendley would have been transferred from the original camp and Sedgwick, the only other successful escapee who had made his way from Spain via Portugal to the UK, would have re-joined the British and somehow – unluckily enough – would have found himself in German captivity again. There would have been scope for many other cameo roles with famous faces from the seventies: Richard Roundtree, fresh from his success in 'Shaft', Clint Eastwood perhaps, Richard Burton, Gene Hackman, Michael Caine, Sean Connery... maybe even Horst Buchholz, another 'Magnificent Seven' veteran, as a sympathetic German? It has been pointed out elsewhere that there was not a single female role in the 'Great Escape'. The role of the women in this sequel could therefore have been much-coveted ones. Which seventies film stars – American or European – would have been suitable? The field is wide open. The candidates all fascinating. The studio is confident of another massive box-office smash and someone is already sketching out the outline of part three. Fascinating flight of creative imagination. Good work. I like the sequel. A lot. Warsaw had an Uprising? There were Polish pilots in the RAF? The partisans fought bloody battles? The Soviet "allies and liberators" did absolutely nothing to help? Who knew? Not Hollywood. I like Bozena's style. Must read her book. Also thanks for the comment, Tom. In fairness to Hollywood, although they seemed to be quite unaware of the Warsaw Uprising or the Polish resistance, unlike, for example, the British film starring Michael Rennie, "The Battle of the V1" (1958), still the Bronson character in 'The Great Escape' was very clearly a Polish airman and there have been one or two other positive portrayals of Polish soldiers. One I've mentioned elsewhere is Gene Hackman playing General Sosabowski in 'A Bridge Too Far' (1977). 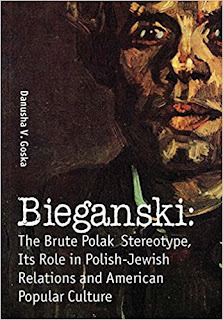 Bieganski "Gives Voice to the Voiceless"